Here are the terms and conditions/ Terms of service for gaining your access to, and using the factorfocus.ie website. Please note that paid subscription services/ products entitles you to access those services. Registration for any of the other services does not entitle you to access the paid subscription services. You may be required to register separately for some of the services, even if you have already registered for others. If you are using the services in the course of your business, trade or profession, the following applies to you: Commercial users agree not to reproduce, duplicate, copy, sell, resell or exploit for any commercial purposes, any portion of the content without expressly being authorised to do so by the relevant copyright owner. 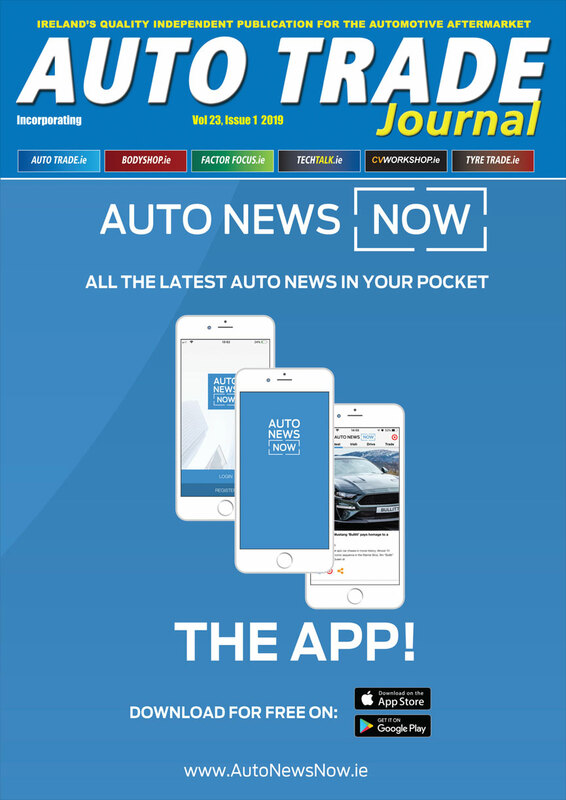 The commercial user further agrees not to use the services to reproduce, scrape, automatically summarise or aggregate any portion of the content without prior licence or written permission from Automotive Publications Limited. By accessing this website, you acknowledge and agree to the terms and conditions/ Terms of service and any operating rules or policies that may be published at anytime by Automotive Publications Limited. The TOS, together with any copyright notice published by Automotive Publications on the site, comprise the entire agreement between the User and Automotive Publications and supersede all prior agreements between the parties. You may also be subject to additional terms and conditions by agreement with Automotive Publications or when you use affiliate or third party services. Automotive Publications Limited reserves the right to modify the terms and conditions of the TOS at any time, at its sole discretion and without notice to you. It is the responsibility of the User to regularly review the TOS for modifications. By continuing to use the Site, the User agrees to be bound by the amended TOS. The purchaser/user has a period of seven working days from the date of subscription to withdraw from subscription without any penalty and without giving notice in writing. Following that period, the purchaser/user can cancel a subscription at any time by giving notice in writing without prejudice to any rights that may have accrued to Automotive Publications Limited. Automotive Publications Limited reserves the right to terminate all or part of the Site at any time without notice, and without issuing any refunds if the User is in breach of the terms of service. We shall not be liable to the user or any third party for any loss or any damage arising from the termination of the site or any part thereof. In respect of the paid Subscription services only, Automotive Publications reserves the right to terminate user accounts following the expiry of the subscription period and to delete all information and files on these accounts if the user does not renew the subscription. In respect of other services, for which registration is required, Automotive Publications Limited reserves the right at its sole discretion to terminate user accounts and to delete all information and files on these accounts. In the event that a user account remains inactive for 15 months, access to it will be locked. If the user account remains inactive for a total period of three years, it shall be terminated and all information relating to the User account deleted. All notices issued by or on behalf of Automotive Publications Limited shall be in writing and shall be made via online on our websites, by email or conventional mail. Our sites may publish notices or messages. and these shall constitute notice to the user. Automotive Publications Limited has no obligation to monitor the Site, but reserves the right to do so and to remove any content or Mmaterial at its sole discretion at any time without notice. Automotive Publications Limited reserves the right at its sole discretion to modify or discontinue the site or services, or any portion thereof, at any time, with or without notice to the user. We shall not be liable to the user or any third party should we exercise our right to modify or discontinue the site or services. No refunds will be granted to any users who have paid services fees in this instance. Automotive Publications Limited shall not be liable for any loss of use, interruption of business, or any direct or indirect, special, incidental or consequential damages of any kind (including but not limited to lost profits) regardless of the form of action, whether in contract, tort (including negligence), strict product liability or otherwise, even if we have been advised of the possibility of such damages, howsoever arising, out of use of the site or services. There is advertising material submitted by third parties on our website. Individual advertisers are solely responsible for the content of advertising material, which they submit to us, including ensuring that it complies with relevant legislation. We accept no responsibility for the content of advertising material, including, without limitation, any error, omission or inaccuracy. Contracts for the purchase of goods and services through this Site will be governed by Irish law. Any disputes relating to such contract shall be subject to the exclusive jurisdiction of the Irish Courts. factorfocus.ie is a website address of Automotive Publications Limited. Our office address is Automotive Publications, Glencree House, Lanesborough Road, Roscommon town, County Roscommon, Ireland. The VAT number of Automotive Publications Limited is IE-6330706L. Automotive Publications Limited provides written confirmation of subscriptions paid via the email address supplied during subscription. If you have any questions or queries please contact us by providing your name, address, telephone number, and email address. Our office address is Automotive Publications, Glencree House, Lanesborough Road, Roscommon town, County Roscommon, Ireland.